NTUC Downtown East is partnering with Kassim Baba, the premier Halal food delivery service, to present KB Live Fest 2018—an outdoor festival fusing the best in Halal food, lifestyle and entertainment. KB Live Fest 2018 will feature an abundance of Halal culinary creations to excite the palates, including sweet treats and a host of local delights, such as beef burgers, Roti Johns, kebabs, and more. 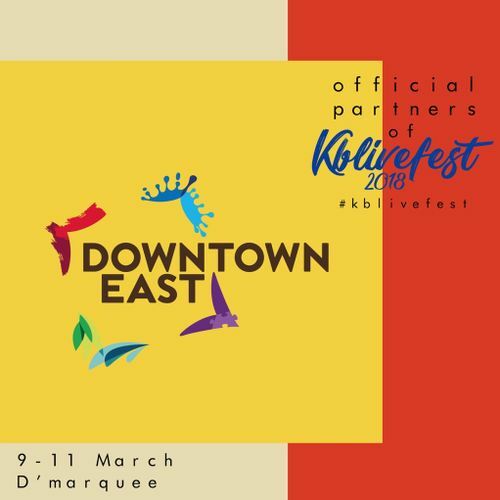 Beauty enthusiasts and fashionistas can indulge in retail therapy with local brands such as Nani Konali, Audela SG and Psychedelic Sues, while families and kids can try their hands at squishy fun slime from The Donut Squishery, or check out special performances by Didi & Friends, and MystifyingiMran. There will also be daily music acts from local singers and bands, including Khulia Dhuha, Shahril, Sufi Rashid, Didicazli Ismail, The Chapters and more.